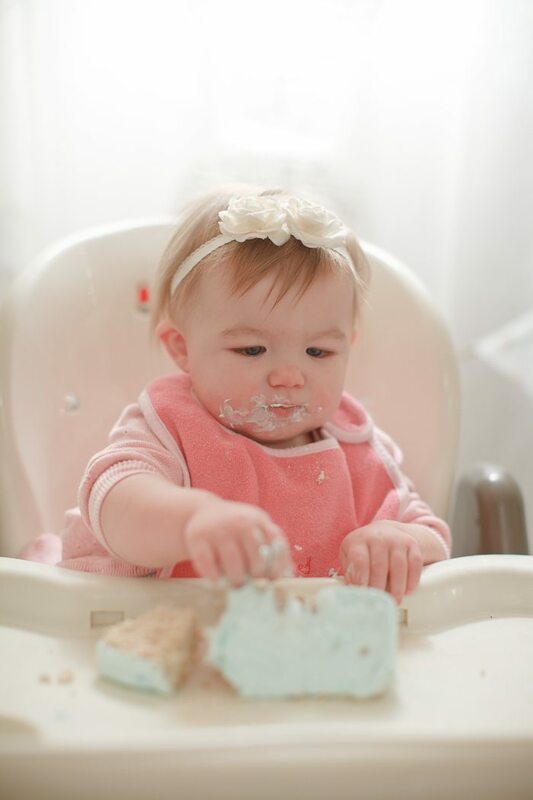 I was so excited to have the lovely Jenny Haas share her niece Ada’s first birthday party. 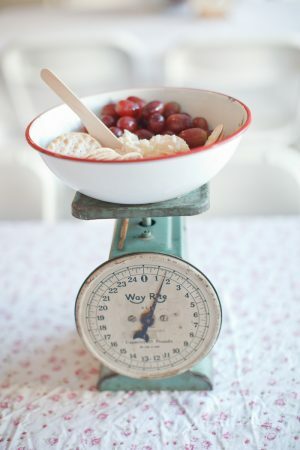 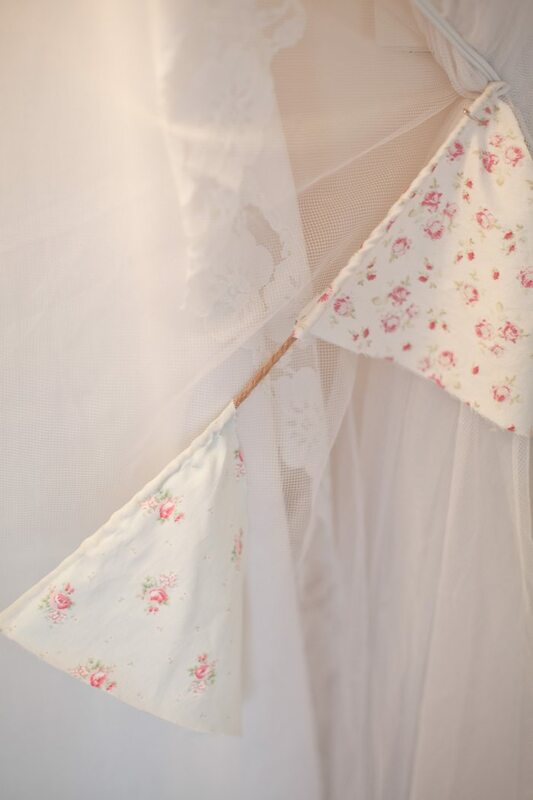 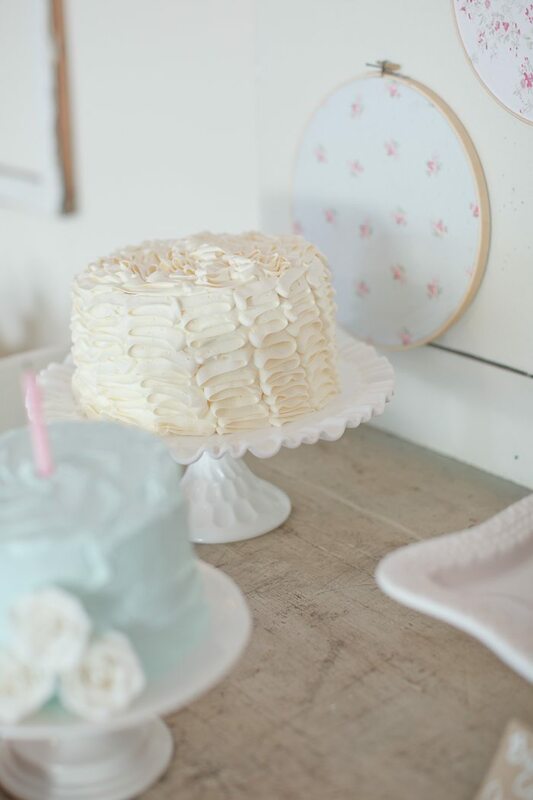 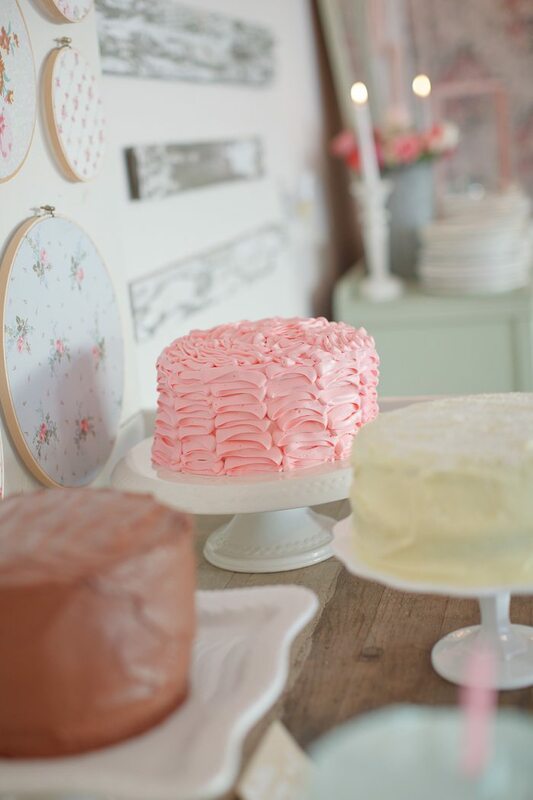 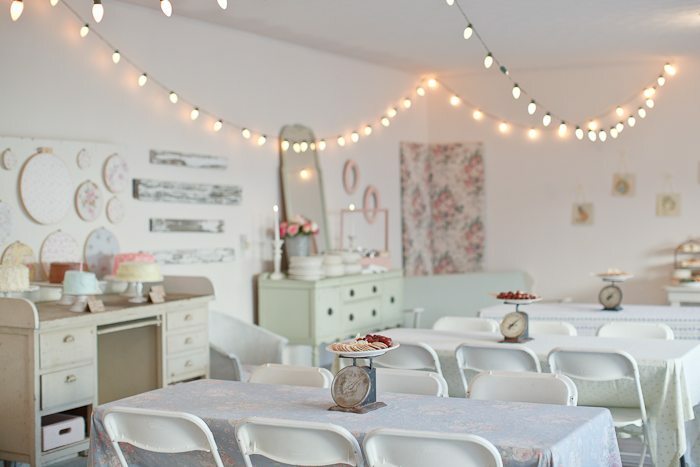 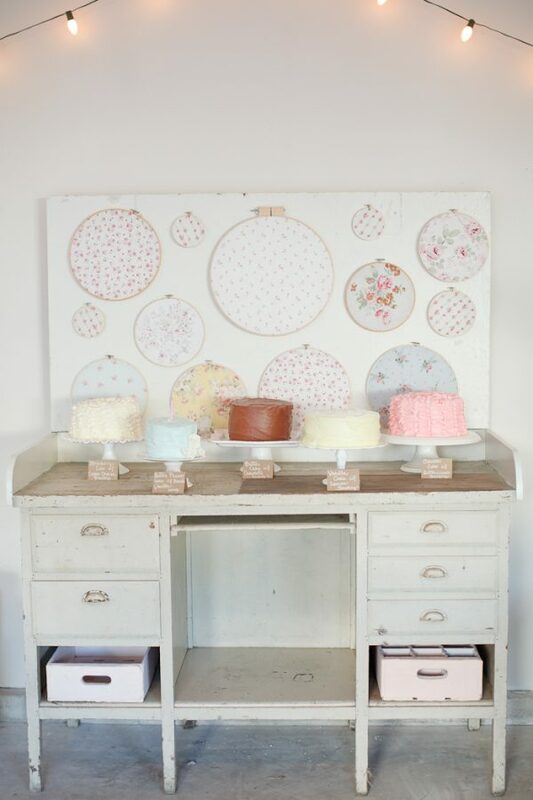 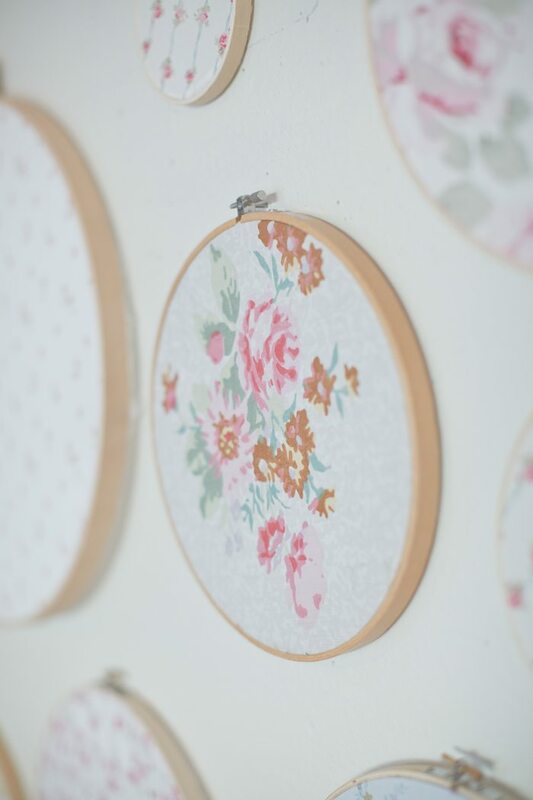 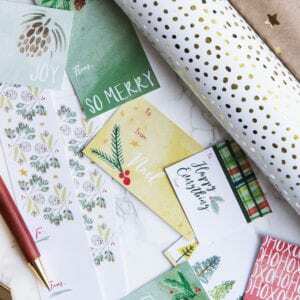 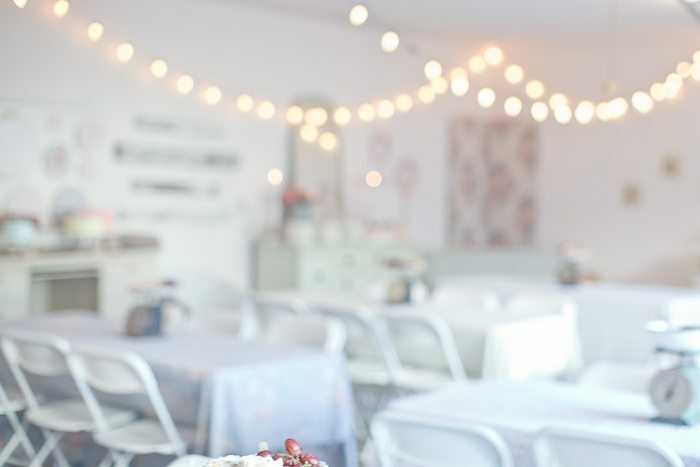 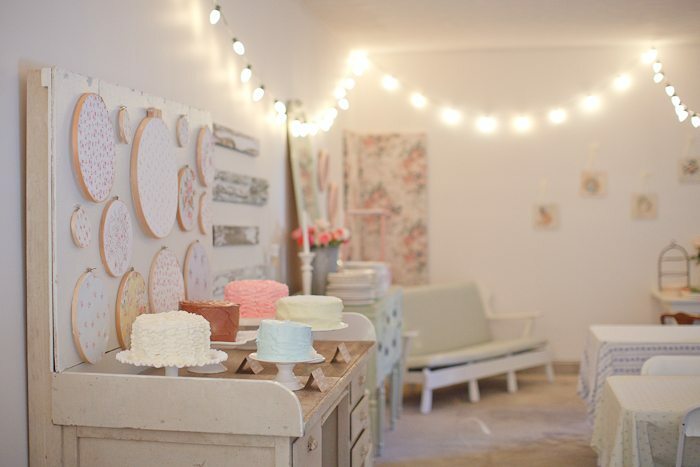 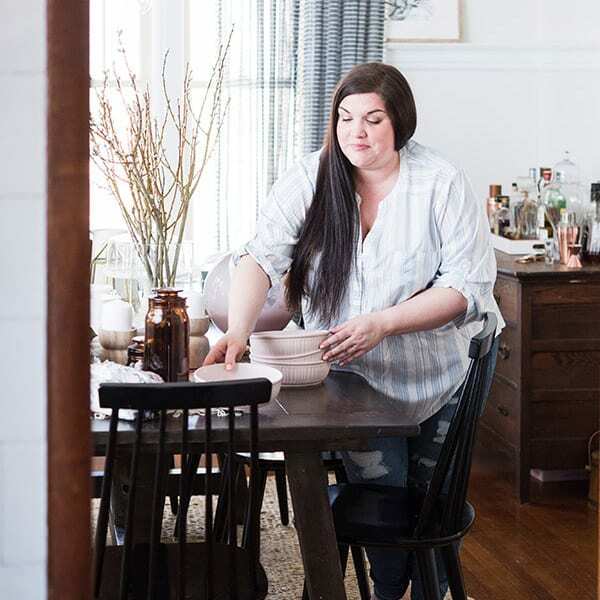 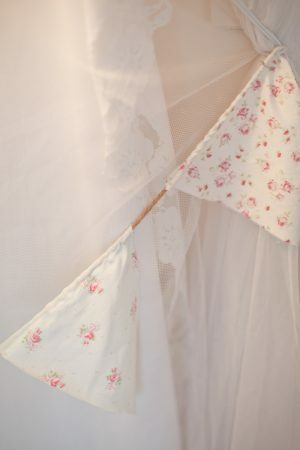 Jenny’s sister pulled together all of the pretty shabby chic details, from the vintage-inspired fabric hoops along the wall to the beautiful cluster of mini cakes. 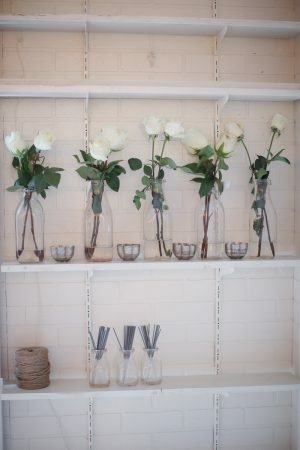 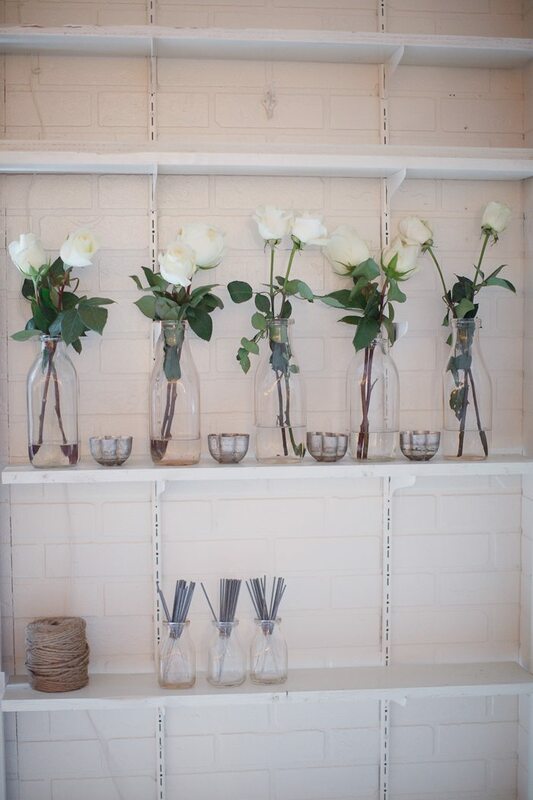 I love the simple white roses tucked in old milk bottles and the strings of white lights criss crossing the room. 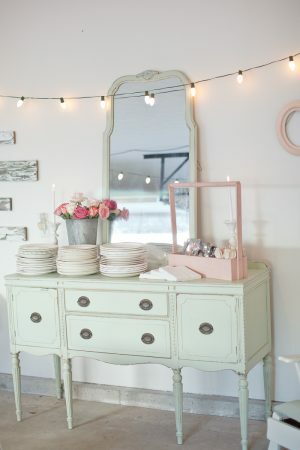 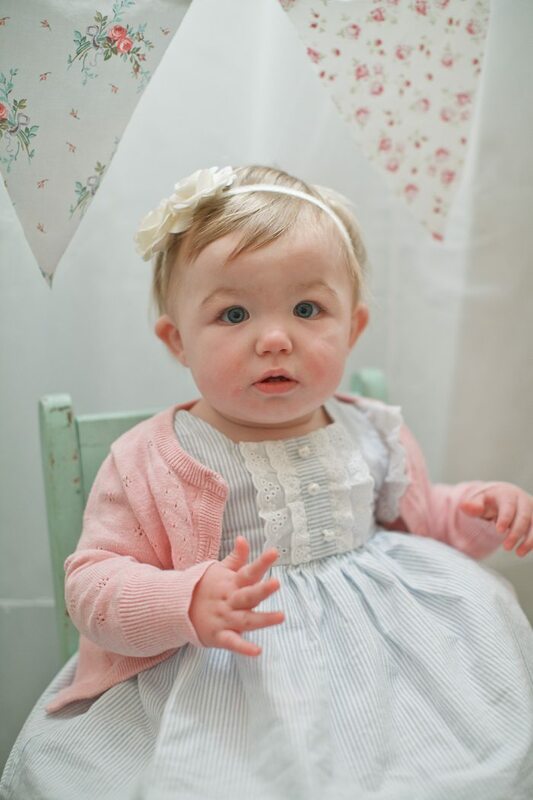 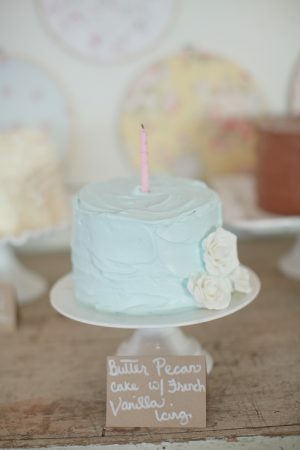 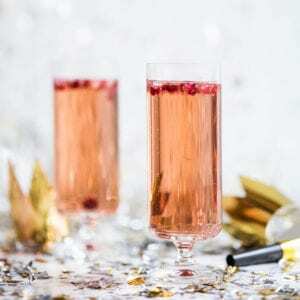 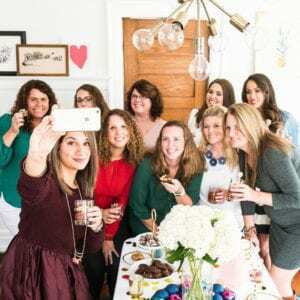 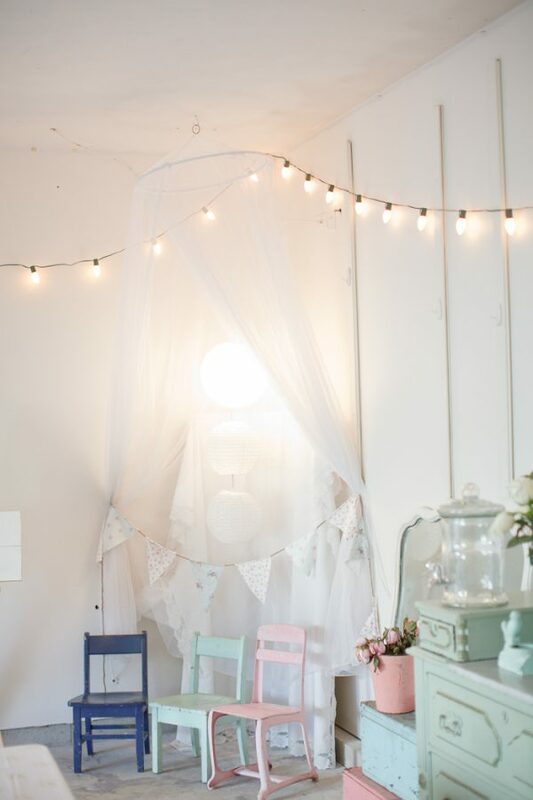 Everything about this party is so pretty and feminine, it’s the perfect way to say happy birthday to a sweet baby girl.